I first met Andrew Scott a few years ago and we had a short casual chat. A year or so later, when we ran into each other again, he immediately asked about things we spoke of during our last conversation. I was taken by surprise not just by his memory, but his empathy and sensitivity. And somehow, those extraordinary gifts of his shine when he’s on stage as well. 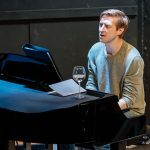 Andrew has this rare ability to communicate with each member of the audience, unafraid to make direct eye contact even in the hardest and most painful moments of a play, turning the theatrical experience into something more intimate, seemingly raw, and easily very emotional. Andrew’s portfolio includes the films Pride (2014), James Bond’s Spectre (2015), Denial (2016) and the upcoming BBC Two TV film version of King Lear (2018). His TV credits include Band of Brothers (HBO), The Hollow Crown (BBC Two) and his BAFTA-winning performance of Moriarty in Sherlock (BBC One). 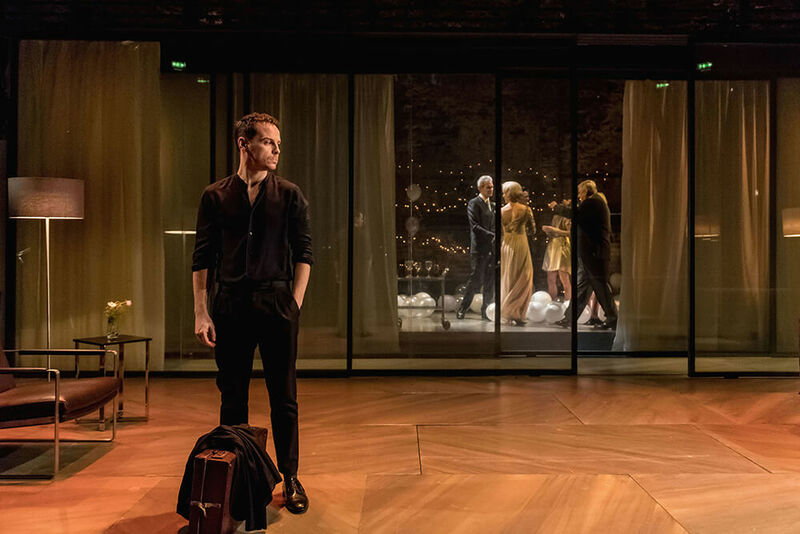 On stage, Andrew most recently appeared as Hamlet in the phenomenal, critically-acclaimed, Almeida Theatre production in 2017, which was directed by Robert Icke. 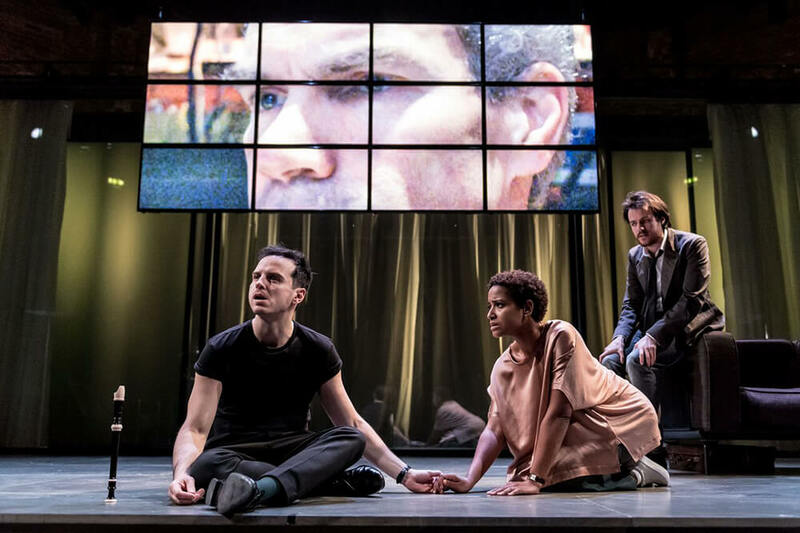 Following a massively sold-out run, Hamlet was later transferred to the West End’s Harold Pinter Theatre and filmed for the BBC. 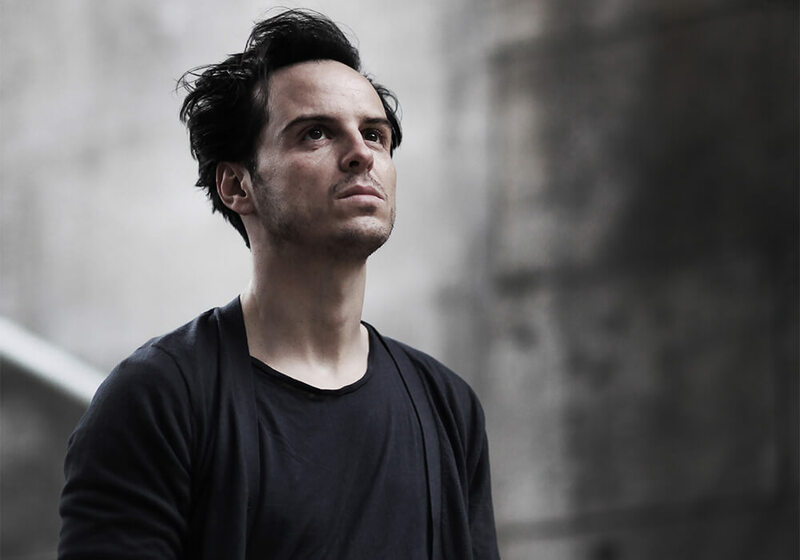 Andrew can currently be seen on stage in Sea Wall at the Old Vic, a 34-minute monologue, seemingly a world away from the nearly 4 hour-long Hamlet. It was written by Simon Stephens in 2008 following a commission from Bush Theatre, and specifically for Andrew to perform. 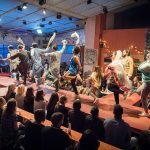 Due to its success and acclaim, Sea Wall was later transferred to National Theatre and to other cities, and now it has been brought back to celebrate Old Vic Theatre’s 200 years celebrations for a short run of only 12 days. Andrew plays Alex, a photographer and clear atheist who tells the story of his family's holidays to the south of France and his relationship with his mathematician, yet somewhat religious, father-in-law. Written much like a casual conversation, full of broken sentences, pauses, interruptions, and sudden changes of topic, it concentrates on themes of love, spirituality and grief. Considering it was a decade ago, do you remember how you felt the first time you read Sea Wall? "I felt amazed by it! Absolutely stunned by it. It came with a couple of plays that they wanted me to do for the Broken Space Season plays at the Bush [Theatre] at the time, and I remember very clearly reading it… Really clearly reading it for the first time and thinking, ‘wow this is so incredible! ', but then I thought, 'actually, I would only be able focusing on this one and not be able to do the other two,’ because, it just seemed to me to be so incredibly special. I was massively excited and delighted that I would even get the chance to do it." "You can grieve for yourself. You can grieve for things that you haven’t experienced"
There's a line in the play in which Alex says that turning for belief in a higher power when grieving is cowardly. Have you ever experienced grief? And how do you feel about Alex's thoughts? "Yes. 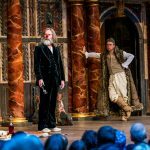 I think… It’s something I thought about an awful lot with Hamlet last year, because Hamlet is absolutely a play about grief. And yes, it is something that I have experienced. And I don’t think that grief, necessarily, all the time, has to do with death. Of course, death is what we think about chiefly when we think about grief. But I think you can grieve for yourself, I think you can grieve for things that you haven’t experienced, I think you can grieve a relationship, or relationships. "Grief manifests itself in a lot of different ways. And yeah, that idea of cowardice… It’s a very powerful line and I’m glad that you mentioned it because, that’s where you go when you need some comfort. To make the decision not to choose that easier route could be very courageous. And I think that’s really what the centre of the play is about. It’s about the people who choose to believe and the people who don’t. And what I love about the play is that it doesn’t make a real judgment on either position. "In this world at the moment, which is very binary, we have very very opposing views on things; you’re either in this camp or you’re in that camp. I adore that the two central characters in the play are at odds with each other ideologically, but there’s a huge sense of love between them. And that love is able to hold itself in most parts of the relationship, despite their differences. And I think that’s what our great challenge is in this day and age. Love." "We have to be responsible for what happens in real life"
"I suppose a thing that’s on my mind a little bit is, well, I’ve been thinking about a lot, is the idea of our own responsibility for ourselves, and how we can use our innate sense of intelligence, and sensitivity, to be able to care for ourselves, and not to be dictated to about what is safe and what is not safe. "I’m slightly troubled I noticed, I’m reading articles a lot online where they’re saying ‘this article contains themes that maybe this and maybe that,’ which I think there’s a place for, but I think we also have to be responsible for what happens in real life. Which is that, we don’t get warnings. We don’t get ‘this is a warning that this may happen.’ And I think if we continue to say that… Particularly artistically, with any artistic endeavour, you can’t lay out what you’re going to do, what you’re going to say, in a creative process. "You have to start with an idea of ‘I don’t know.’ And you have to be allowed to make mistakes. You have to be able to say things that will alter and change, and that means that you have to be allowed to get things wrong. That’s absolutely a part of the creative process. So you can’t set up your stall too much before you start doing that. So I suppose that’s what I’m thinking a lot in about. "It’s a tough game, being an artist. I think we have to be very protective, and very… Resilient. That’s the word [laughs]." Resilient perhaps especially with the intimacy in Sea Wall, and the emotional turmoil of Hamlet. "Yeah! Absolutely! They have similar themes and personal impact… But it’s nice that Sea Wall is nice and short [laughs]." 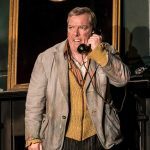 Sea Wall is on until 30 June at Old Vic Theatre.